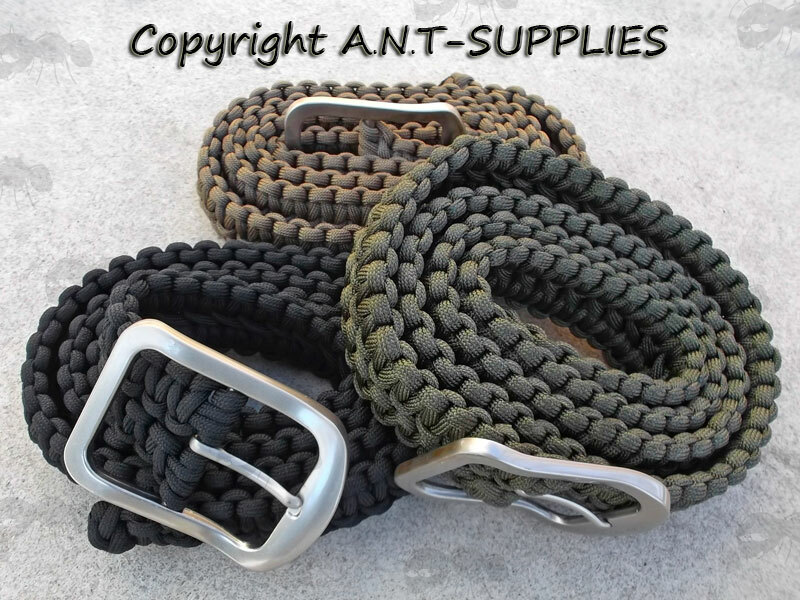 Constructed from approximately two 20 metre lengths of paracord, a total of 40 metres. 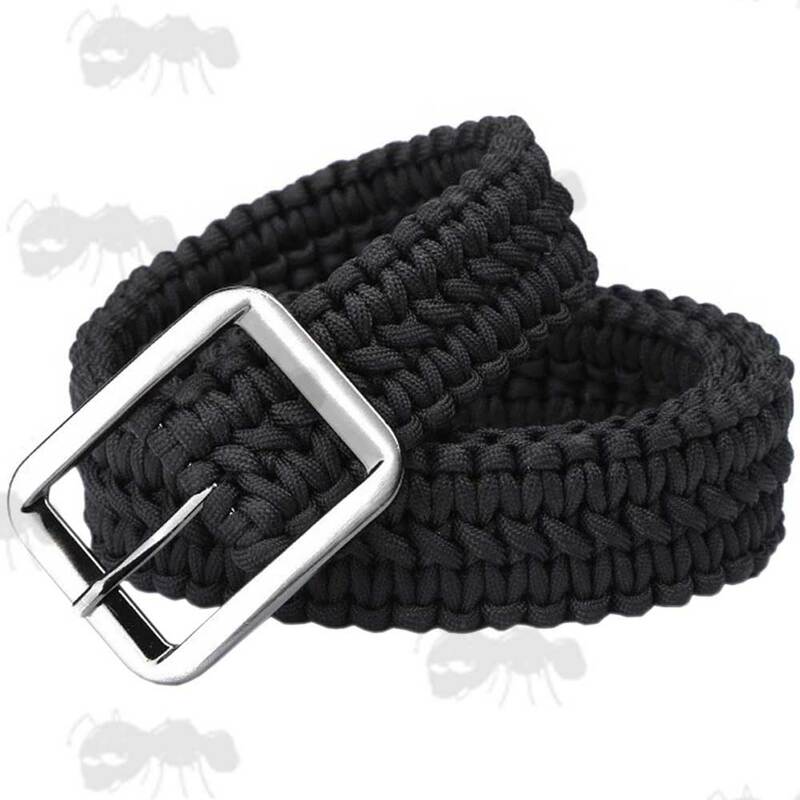 4mm diameter paracord with seven inner strands. Overall belt length ~ 46 inches / 117cm. Total weight ~ 250 grams. The belt can be unwound in survival situations.